Have you ever met Herman? Herman has been living on my kitchen bench for the last couple of weeks. He smells a bit like a brewery, and he has to be fed every few days. But it's been fun having his company. 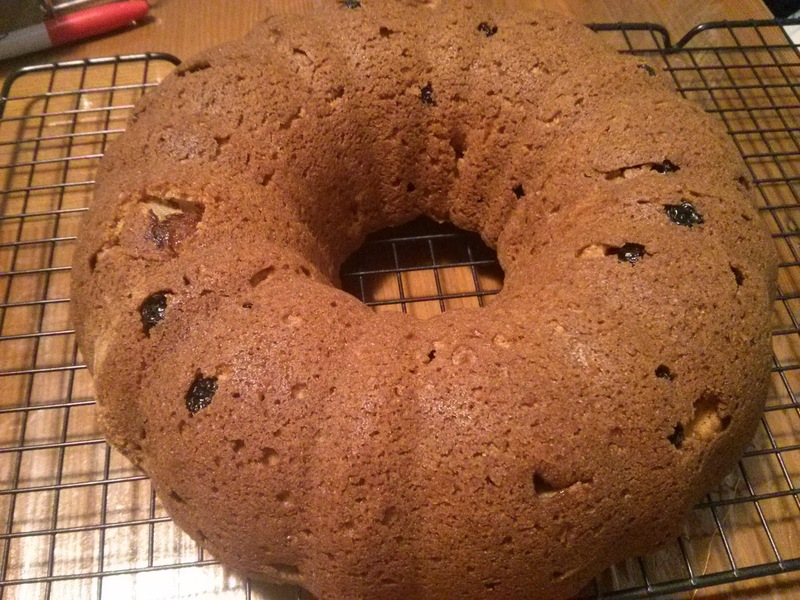 Herman the German Friendship Cake was a gift from a friend. He is a sourdough cake batter that you prove for 10 days before dividing and baking. 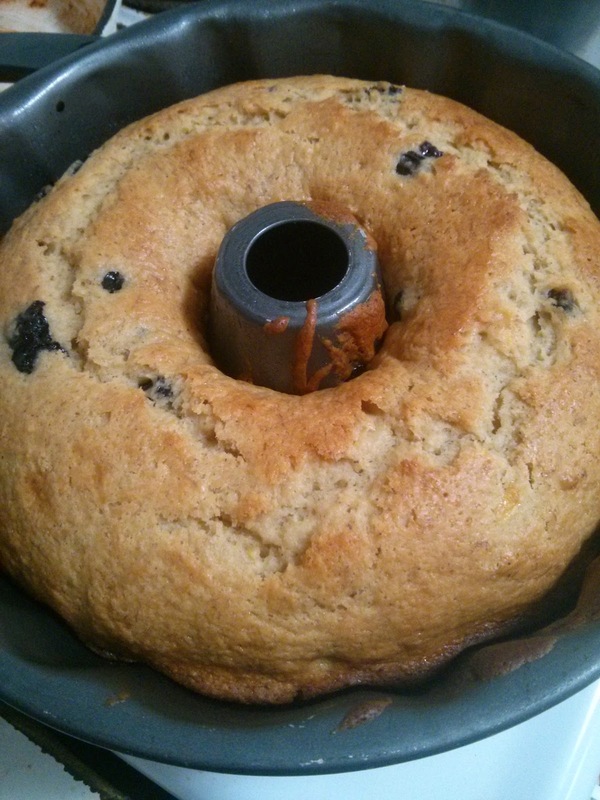 It makes a lovely rich, buttery cake, and also a very unusual gift to give to your friends and family. 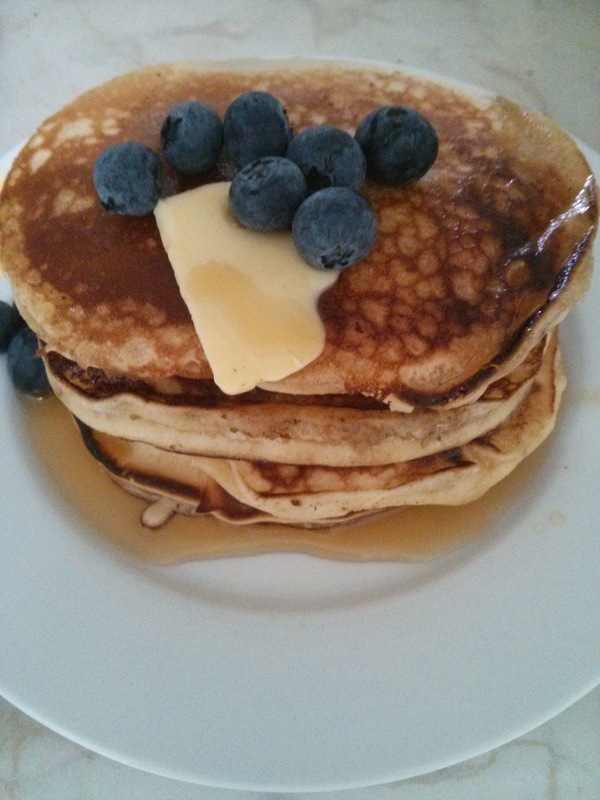 I even made some pancakes with Herman. The first batch were a little dense, because in my half-awake state I forgot to add any raising agents. They still tasted delicious, and today's batch with self-raising flour were perfect. Soft, fluffy and with a lovely sourdough taste. How do I stop at just 4? Herman is now having a little holiday in the fridge. I need my benchspace back, and there have been complaints about how the kitchen always smells! If you don't have a friend with Herman, don't worry - the website gives you the instructions for starting your own Herman. And then you can share some sourdough love with your friends too. Are you bored with sausages and mashed potato? Have you had too many sausage pasta bakes or devilled sausages? Try cassoulet! Vegetables, beans and sausages simmered in tomato sauce, and topped with crunchy breadcrumbs. Tonight's version has leek, carrot, celery and fennel with lots of fresh parsley. Even the small one ate all his dinner with minimal fuss, so I'm counting this one as a win. And the cheaty part? An authentic version uses dried beans slowly cooked in a rich sauce with bacon, sausages or other meats. 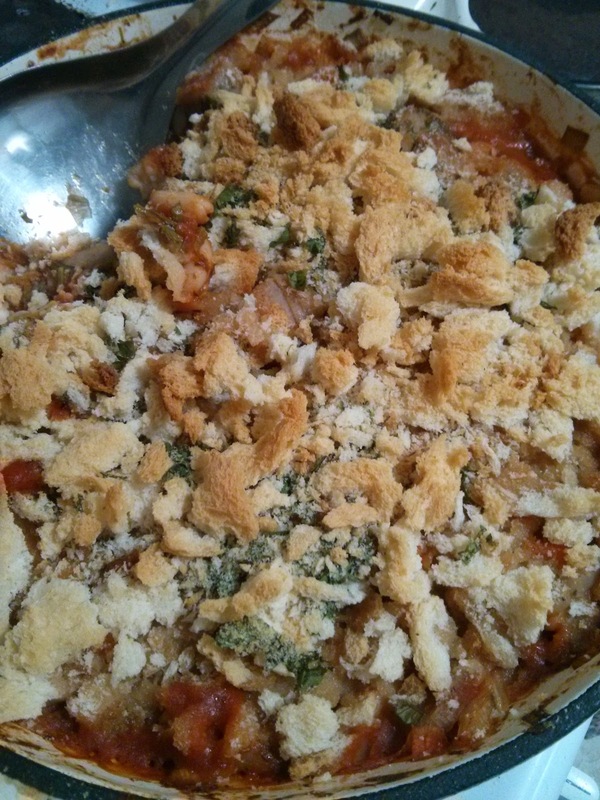 This is topped with layers of buttered breadcrumbs that are built up by pushing the previous layer into the sauce. Using tinned beans and a single layer of breadcrumbs isn't quite as luxurious, but you can get this onto the table in about 45 minutes, or even less if your sausages are already cooked. This year I decided to attend the Sydney Supanova Pop Culture Expo. It's a celebration of all things nerdy and features a range of special guests from TV, movies, animation and comics. Most years I find out about it when it's too late to buy a ticket, but this year I was organised! 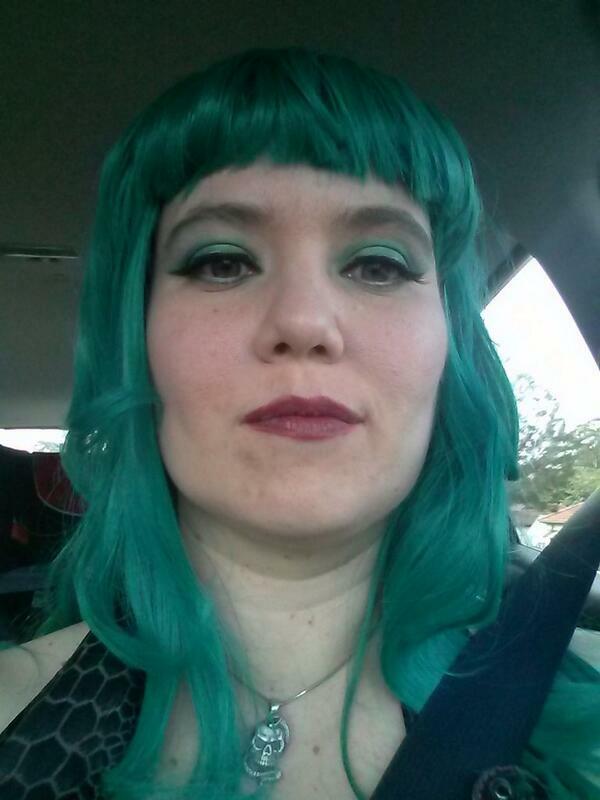 And just to make it more interesting, I decided to go in costume. 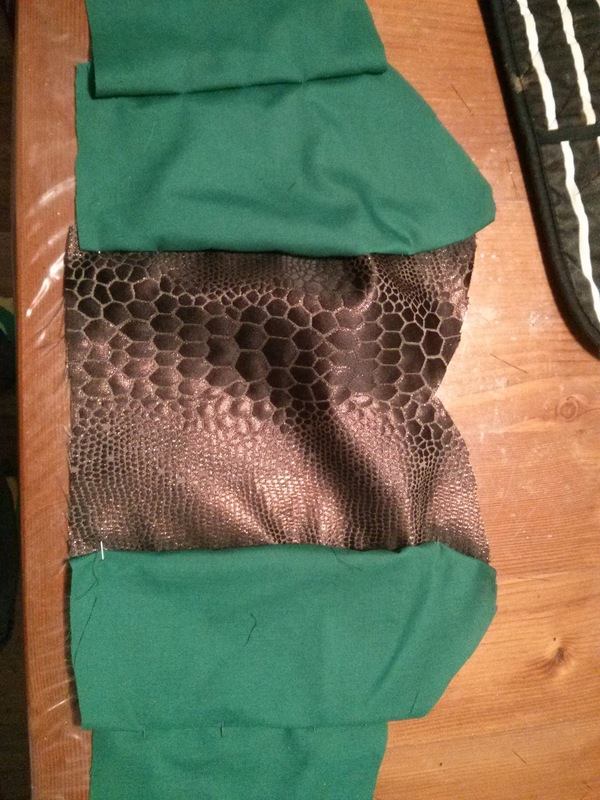 So this is how I made my Viper cosplay. Now that I've made a couple of them, I can't get enough of wearing 50's style circle skirts. Especially now I can make them for myself! A bit of searching came up with some amazing vintage cosplay outfits from Comic Con, and this amazing Wonder Woman Cosplay. After a couple of nights researching various female comic book super heroes and villians, I settled on Madame Hydra/Viper. 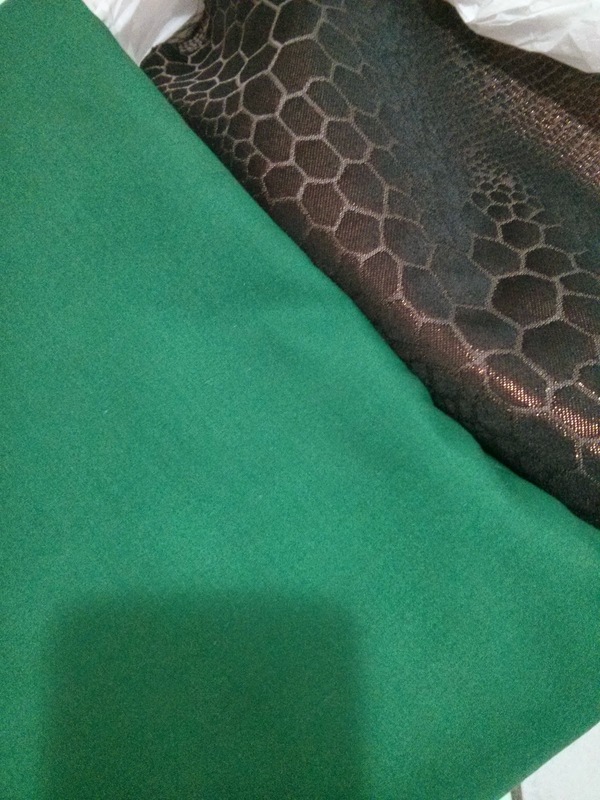 Her look is basic green - easier to work with for a starter costume. Being a bad guy is fun! 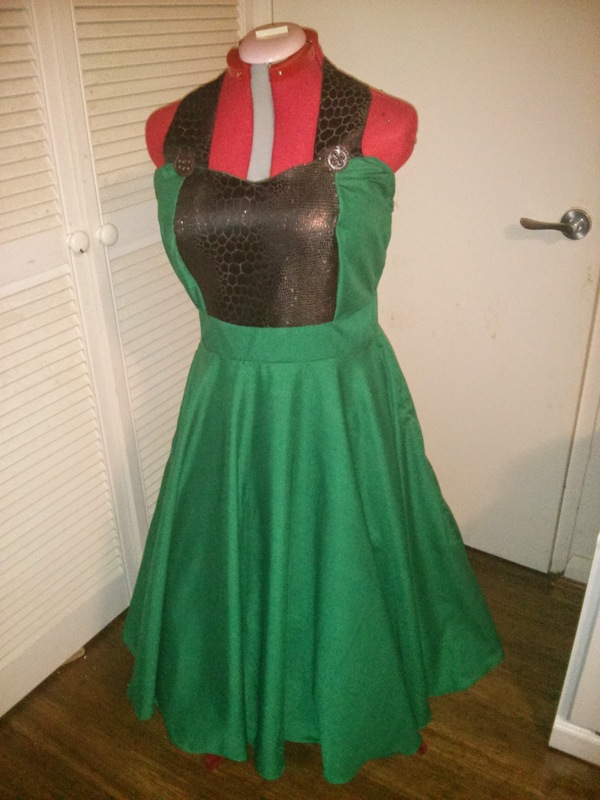 I was very lucky to score a beautiful snakeskin brocade on sale at The Remnant Warehouse, and chose a lovely green poplin for the rest of the dress. 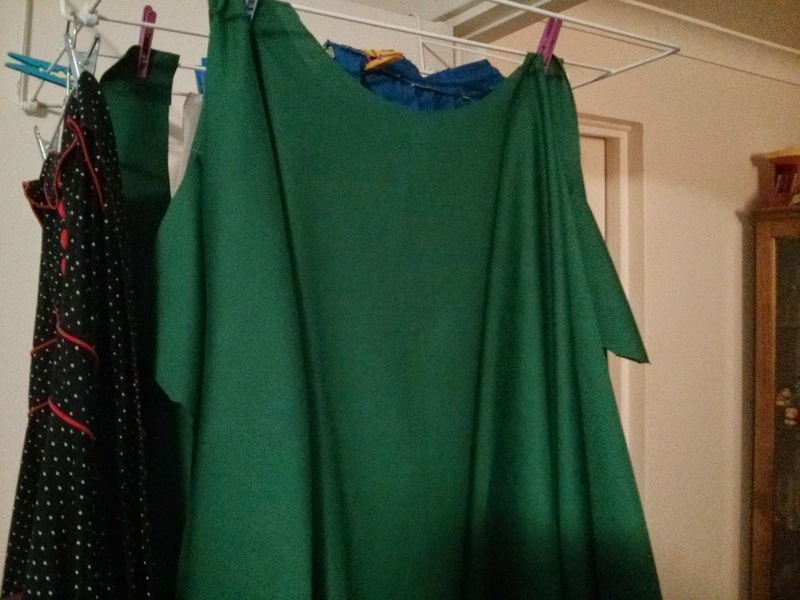 This is the first dress I've made, and while a skirt is easy, a bodice is another matter entirely. 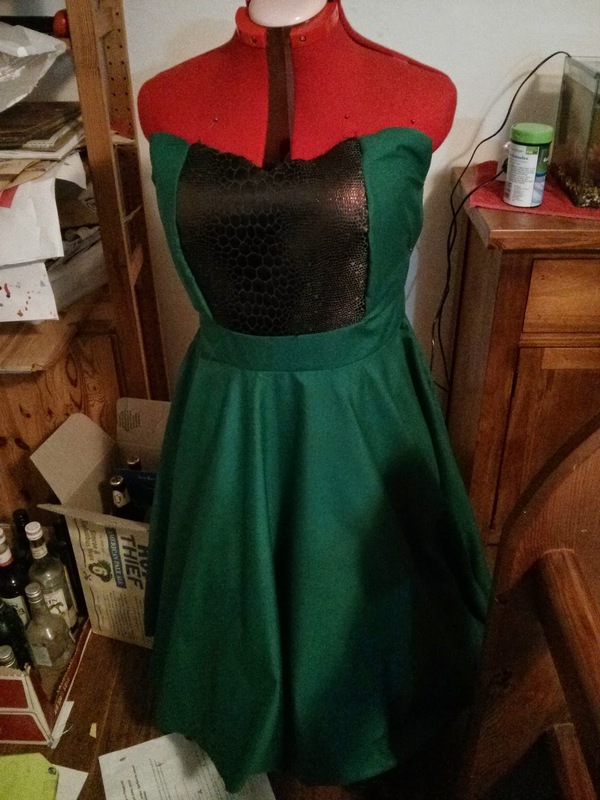 I purchased a couple of vintage dress patterns, but unfortunately my current measurements make it hard for me to fit a standard dressmaking pattern. So after a dissapointing mockup using an old sheet, I decided to try another approach. This Body Coutour Cosplay Tutorial on YouTube was most helpful! 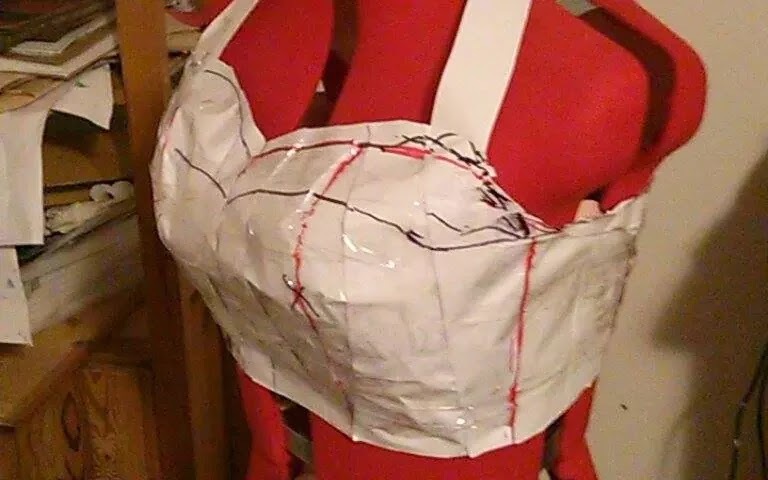 If you're not familiar with how to use a bodice sloper, or if you have a tricky figure, this is a pretty good approach for a one-off design (provided you can get a dress form with your measurements. I had to make some..ahem..additions in the bust region). 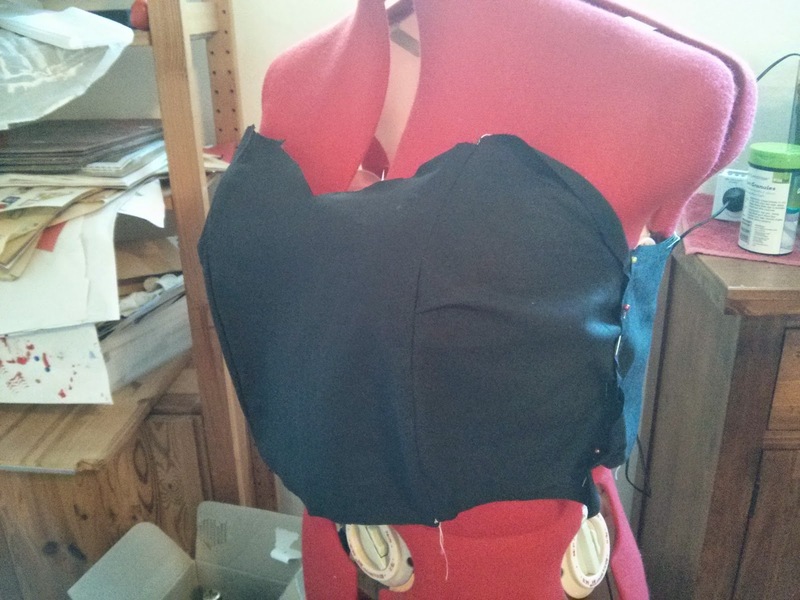 Cutting a practice bodice from muslin. Cutting the bodice from the brocade and poplin. 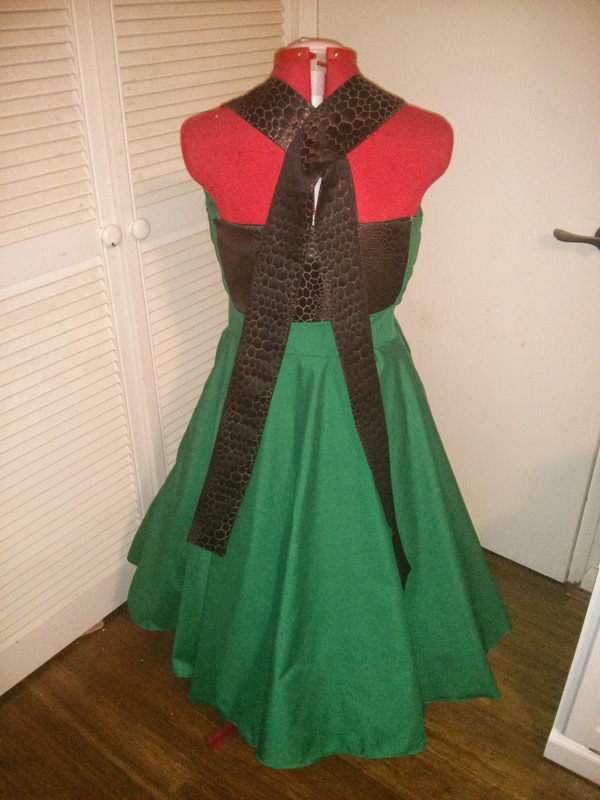 The skirt cut and sewn, with pockets! 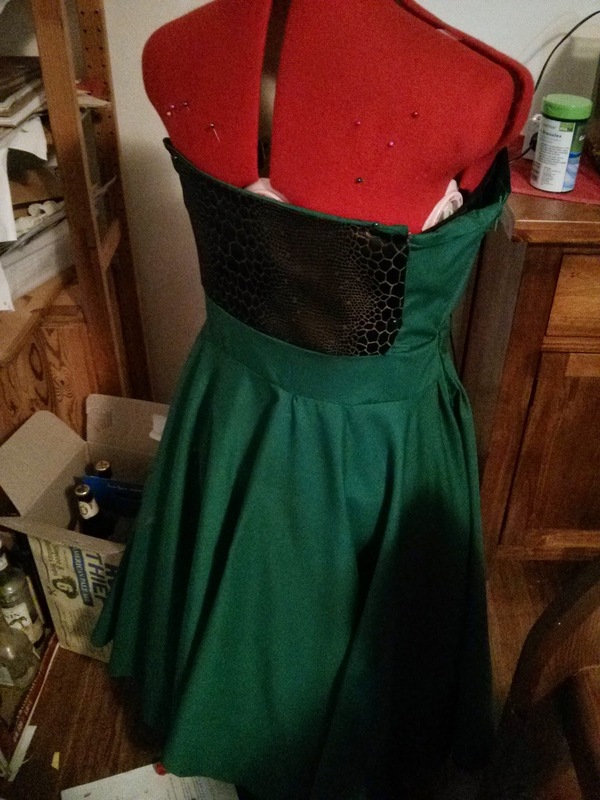 At this point, I still had to add some facing to the bodice, and fix the ugly side zipper. 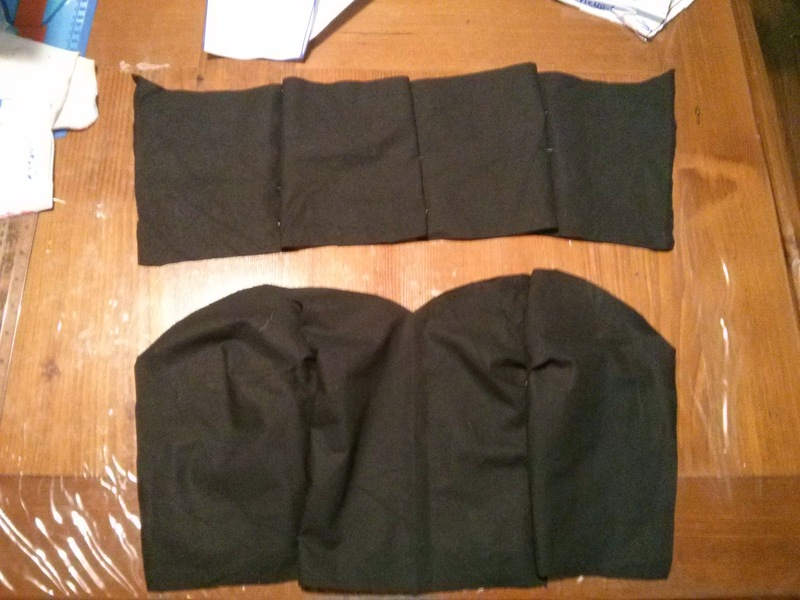 The buttons are to hide the spot where the seams all join. Wearing boots to cover up a bandaged ankle. And best of all, there was a fantastic camera to take a picture of my work! Morning and Afternoon Tea are very important in this house. Without them, the small person gets Very Hungry, and that is a troublesome time for everyone involved. I have to admit, muesli biscuits are one of my favourites to bake. You can "cheat" and use a pre-made muesli, or you can start from scratch with rolled oats and add all your favourite bits. The variations are endless, and the result is a very wholesome little snack, full of filling fibre. They also make a fantastic gift for a mum with a new baby. If you add a couple of tablespoons of Brewer's Yeast and some LSA meal, it turns ordinary muesli biscuits into a super snack to help boost breastmilk production and give a tired mum some lasting energy (especially good for those 3am feeds). They're also so easy to make that they're a great recipe for getting a small person helping in the kitchen. We didn't even measure the ingredients, we just threw in "enough" of everything. There's apricots, sultanas, puffed wheats, hazelnut meal, coconut, honey and golden syrup. But if you need a recipe, this one from Taste.com.au fits the bill nicely. Today was a fun day. There was ferry rides, fish and chips for lunch and while the sun was out, the wind had some ice. A hot dinner was definitely needed! 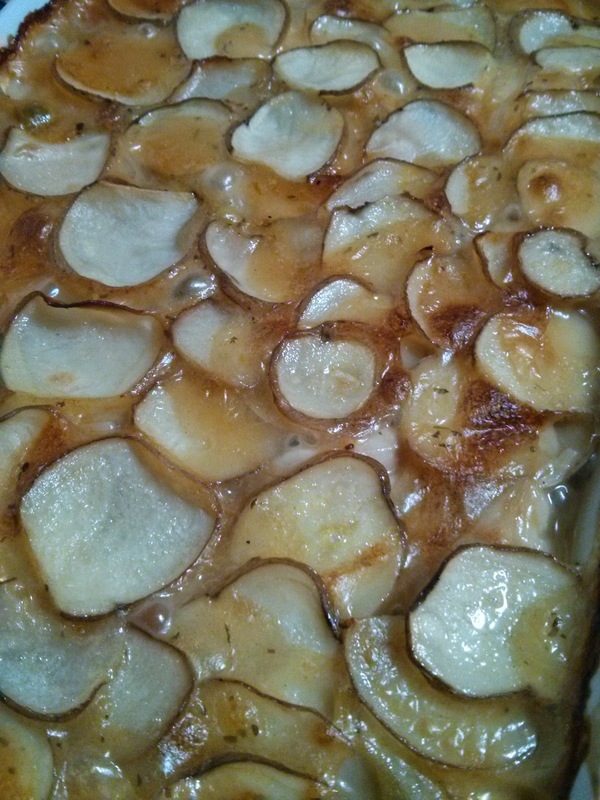 Tonight was a Fish and Potato Bake. The inspiration came from this recipe at The Organised Housewife, and also a lovely recipe in the current issue of Australian Healthy Food Guide magazine. 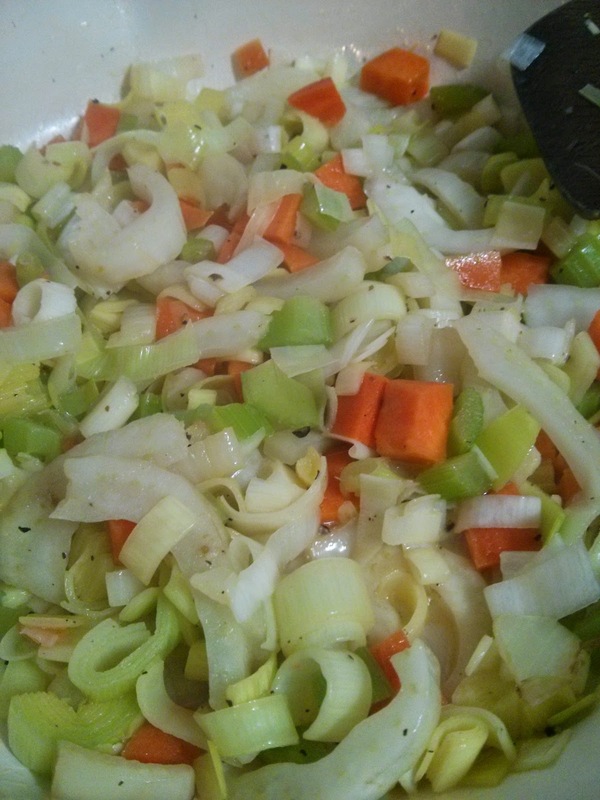 Sauté leek, carrot, fennel and celery in olive oil and butter. wholegrain mustard and a splash of lemon juice. 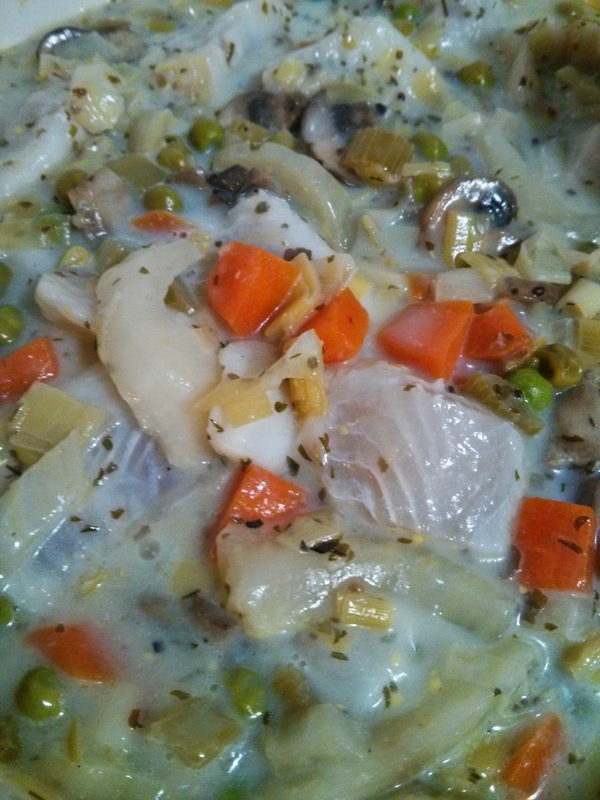 Add some white fish, milk and cornstarch. 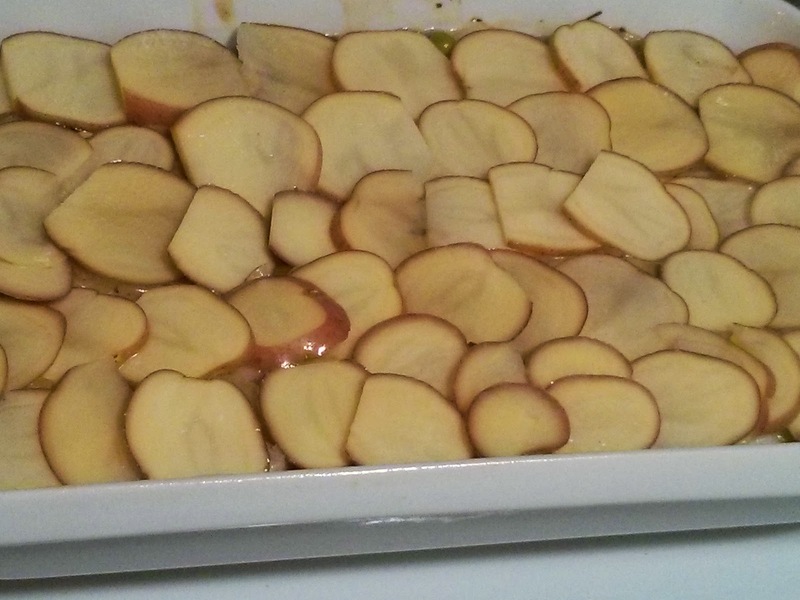 Top with sliced potato, spray with olive oil and bake. What's on your meal plan for this week? We're having Sausages with Mushy Peas, Macaroni Cheese with Pumpkin, Spanish Omelette with White Beans and Chicken crumbed with Quinoa and Chia. After my last (and admittedly quite negative) post, I've been taking a break from blogging. The daily grind of family cooking on a budget is not always a source of inspiration. But there have been new discoveries, fun experiments and spectacular failures. Over the last month or so two things have happened that have given me the blogging itch again. A friend has started a new sewing blog - go and visit Strange Stitches and follow Mrs Strange having fun with quilting. I've also been sharing cooking tips and recipes with some younger Twitter acquaintances, and helping them to have their own Kitchen Adventures. 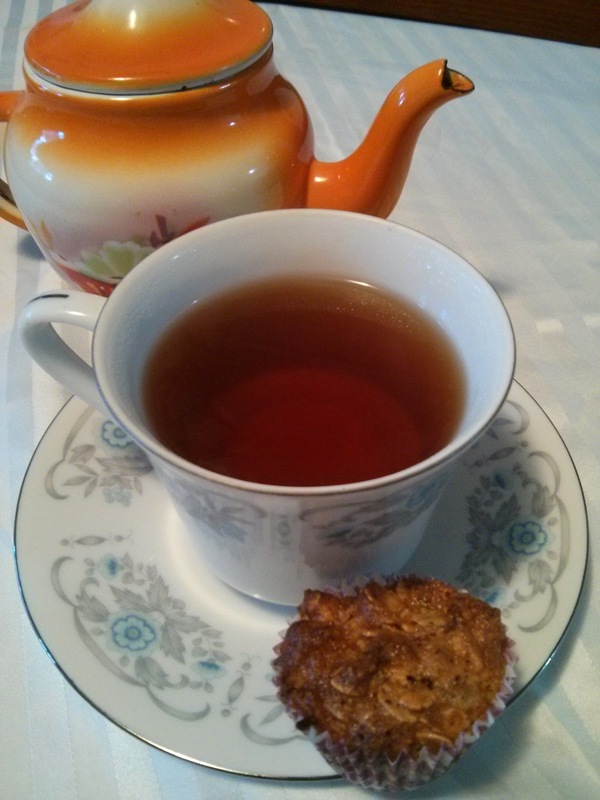 Future posts will include another Pantry Challange, Slow Cook Sunday, and Tea Time. This week I had the opportunity to attend a Thermomix demonstration. If you've never heard of it, it's a kitchen machine that combines a high-powered grinder with a heating element. It blends, grinds, mixes and cooks. I have a couple of friends who own them and now I've had a chance to see what the machine can do, and even helped use one to cook tonight's dinner. Here are 5 reasons why I won't be buying a Thermomix (TMX) in the near future. At just under $2000, this is a top-end machine that will take a long time to earn its keep. If you eat takeaway or restaurant food most nights, then yes, you would save money by cooking at home, but you don't need to spend two grand on a TMX first. Buying simple ingredients and cooking them yourself with cheap, basic kitchen tools will save you a lot of money, and other tricks such as using frozen vegetables or tinned fish (very nutritious), growing your own herbs and vegetables, and eating less meat will make your money go even further. Plus, I have too many other things that I want that $2000 for. The TMX is an oversized, overpowered coffee grinder. Would you make normally make salad in a blender? No? Then don't try and convince me that a TMX can make a salad. To me, a salad needs to look good. Strands of finely grated carrot, soft tangles of shredded cabbage, paper thin slices of radish or sharp diagonals of shallot. Even a salad made using a food processor looks better than what the TMX can do. The TMX demonstration is a little bit misleading. The demonstrator arrives with a TMX and containers of ingredients that have been already prepared. They gloss over the fact that you still need to peel and chop many vegetables before they can go in the TMX - so where is it saving you time, exactly? It also has a relatively small capacity at around 2L - which prevents you from cooking in large batches. Give me a pressure cooker anyday. It actually reduces cooking time, AND my electric one doesn't require my supervision. You can get one for $100. May I also mention 90 second self-saucing chocolate pudding in the microwave? If you have a problem with noisy appliances, this machine is not for you. Actually, there's lots of things it can't do. 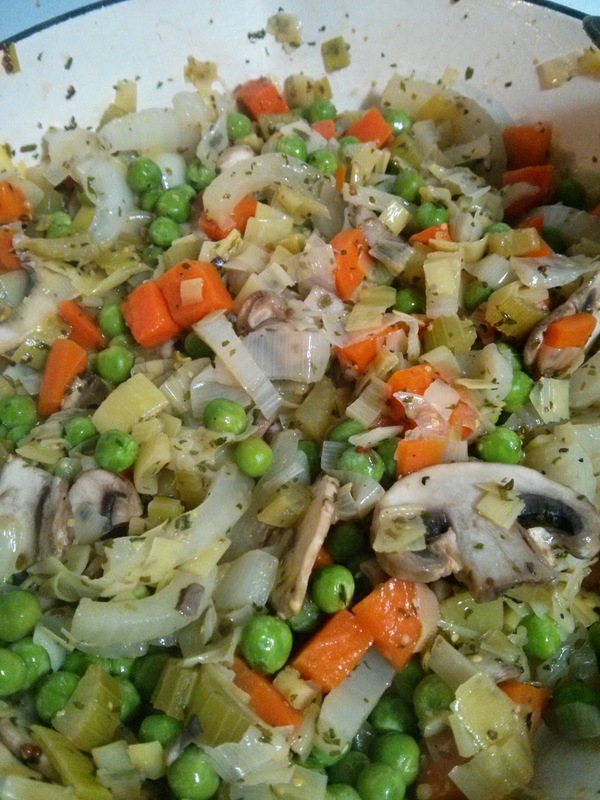 It doesn't bake or roast, it doesn't fry or stir fry. You can't put a whole chicken in it to make stock, or make a perfectly fried egg, sunny side up. It won't bake your muffins and it won't melt the cheese on your pasta bake. It won't do the washing up or the shopping, or help you decide what to cook for dinner. All of these things won't bother people who already own one, and I'm not saying it's a bad machine, just that I don't feel that I can justify having one in my kitchen at the present time.